Hall of Heroes Superhero and Comic Book Museum! Boff! Pow! Ka-Blam! 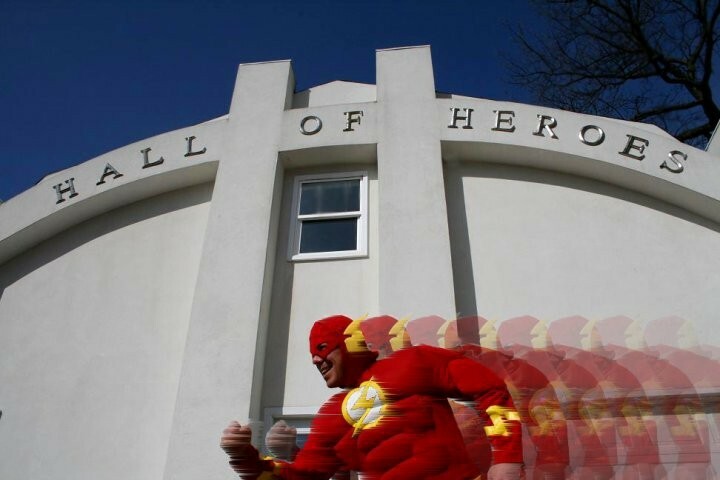 The Hall of Heroes Museum is the only Superhero and Comic Book Museum in the world, so slap on your domino mask, nip off to your secret lair, and aim your invisible jet towards Elkhart, Indiana! Comic book collectors, superhero fans, and pop-culture aficionados alike will be fascinated with Elkhart’s Hall of Heroes Museum from their very first glance at the exterior – the two-story building is designed to look like the iconic Hall of Justice from the DC Universe’s Super Friends / Justice League! But if they think that’s great, just wait until they get a look inside! Posted in Adventures in Northern Indiana | Comments Off on Hall of Heroes Superhero and Comic Book Museum! Look! Up in the sky! It’s the Hall of Heroes Superhero Museum! 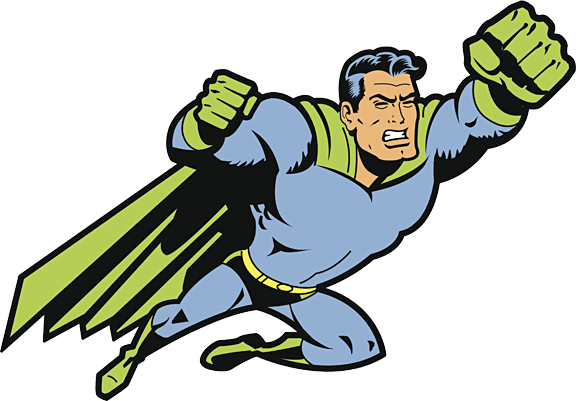 Slip out of your secret identity and slide into your tights and cape – it’s time to visit Hall of Heroes Superhero Museum in Elkhart, Indiana! Founded by super-collector Allen Stewart, the exterior of the Hall of Heroes may look more than vaguely familiar to fans of the 1970’s animated series “Superfriends” – primarily because it has been constructed to resemble the Hall of Justice! Posted in Things to Do Near Bremen, Indiana | Comments Off on Look! Up in the sky! It’s the Hall of Heroes Superhero Museum!